The Bank of England may have to cut rates to combat low inflation, rather than raise them as its next move, its chief economist Andy Haldane has said. UK inflation may not pick up in the second half of the year, and there are risks of fallout from emerging economies, he said in a speech. Should those risks materialise, a rate cut would be a viable option, he said. 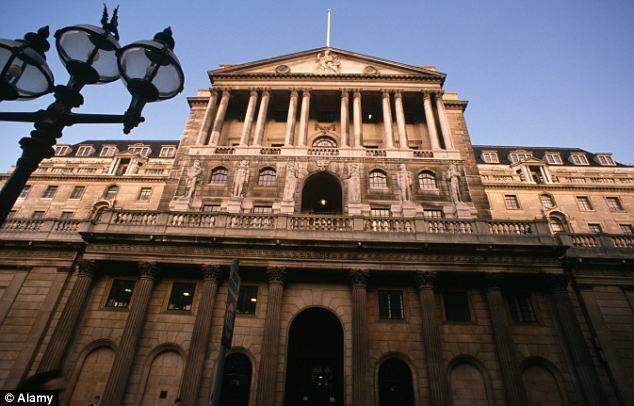 UK interest rates have been held at a record low of 0.5% for more than six years. Furthermore, problems in emerging markets could be a drag on UK growth and the headwinds from those economies were unlikely to abate any time soon, Mr Haldane added. “The balance of risks to UK growth, and to UK inflation at the two-year horizon, is skewed squarely and significantly to the downside,” Mr Haldane said. The case for raising interest rates was “some way from being made”, he added. “Were the downside risks I have discussed to materialise, there could be a need to loosen rather than tighten the monetary reins as a next step to support UK growth and return inflation to target,” he said. However, former Monetary Policy Committee member Andrew Sentance was scathing about Mr Haldane’s analysis. “Andy Haldane seems to have no concept of longer-term need for interest rates to strike balance between savers and investors,” he added. According to Howard Archer of IHS Global Insight, Mr Haldane has “cemented his place as the arch-dove” on the Monetary Policy Committee (MPC). “While there is currently considerable uncertainty as to when the Bank of England is likely to start raising interest rates, Andy Haldane’s stance looks isolated within the MPC,” said Mr Archer. His views seem to be at odds with fellow MPC member Ian McCafferty, “who has voted for an interest rate hike from 0.50% to 0.75% at both the August and September MPC meetings”. “Furthermore, Martin Weale and Kristin Forbes have both indicated their belief that interest rates will need to rise sooner rather than later,” he added.